The historical quality score section in Bing Ads is an aggregate of the past 30 days of data for your campaign and keywords. The historical quality score is based on the past 30 days of historical data that has factors like your competitor’s campaign structure, click through rate, ad relevance, landing page relevance, match type queries by your target audience, and probably even more things. Running this report against a custom time period will give you insight at a high level on what keywords dropped or improved in quality score. Let’s learn how to run this report now! 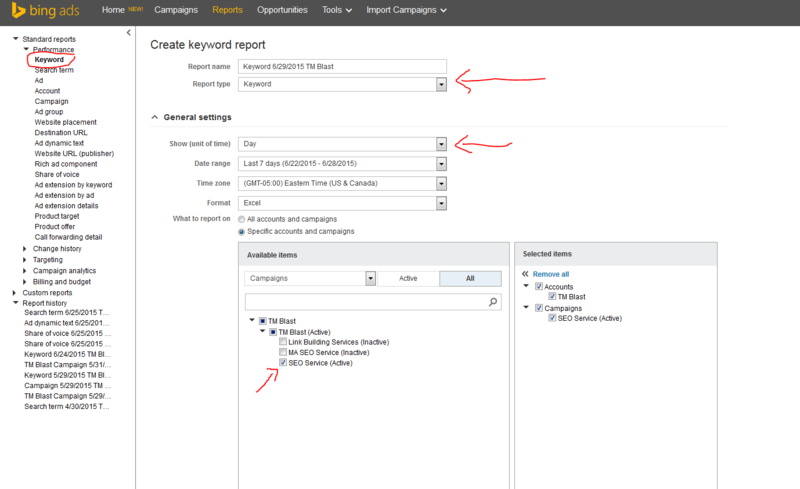 Click on the Reports section at the top of your campaign. Under the performance section, you will need to click on the keywords section. Under here, you need to have day checked off as the unit of time, you need to select the time period you want to view your historical data from, you need to select the account you want to look at, and you need to go to the choose your columns and select historic quality score. Now you will need to click run to view the data after you have customized the settings. Once we clicked on run, we are brought to a screen like this. You can just use the data presented here, but I recommend clicking on the button called download to look at everything in excel. I think it is much easier to read and customize from there, but it is entirely your own call. Here is the report broken out in excel. Again, I am sorting the keywords in alphabetical order. This report might seem a bit confusing at first, so I want to explain how best to read everything that you will see. The historical quality score is an aggregate of the past 30 days of data for your keyword. The way to read this report is like this. If you sort the columns by the keyword, you will see a date associated to that term for the report that you ran. This column is called Gregorian date and I circled that section. Next, you will follow the path till you get to the column called keyword. I again circled that column so you can see it. You then measure the historical quality score (for the past 30 days) against the current quality score column for that day. The two arrows show the historical and the quality score for the keywords. This is a good way to see if there are any keywords that need to be looked for various reasons. Perhaps you were ranking during the past 30 days higher or closer to 10, but your score has actually gone down since. There are a lot of reasons why your quality score might of gone down, but it is first important to highlight those terms as a first order of business. Here is an example of a term that actually dropped off pretty significantly for my site in terms of historical score and current score. I need to stress that a quality score of 8 is still really good, but what I would do further for this term is use a report like the auction insight report to see what happened during this time for that term. At a high level, you can gain a lot of insight from this report. The quality score is a great feature to look at when trying to optimize your campaign. 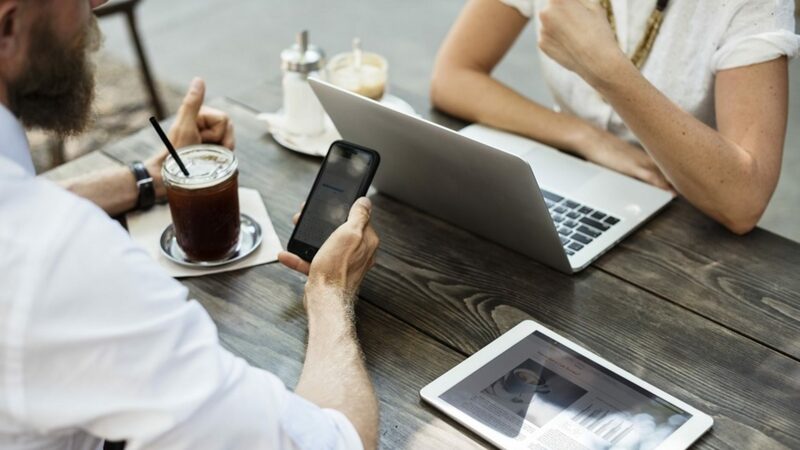 A higher score means your keyword search query will trigger more ad potential based on the auction bid process and you will be rewarded with a potentially lower cost per click. 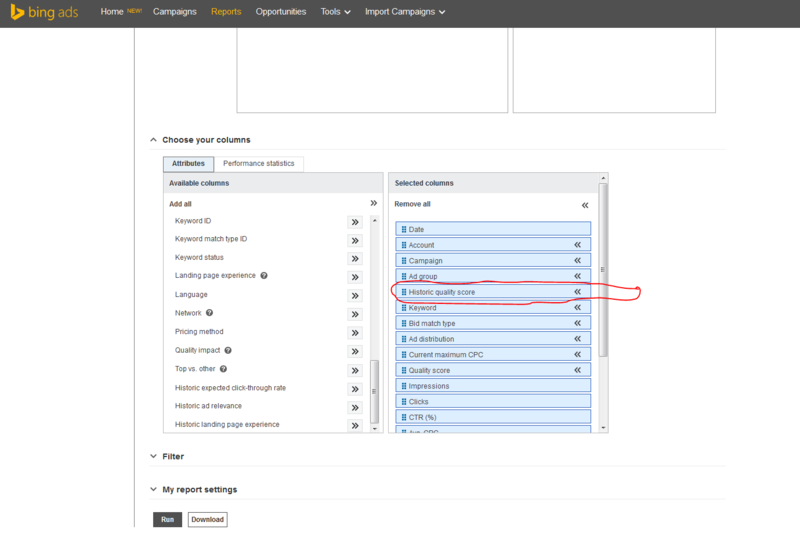 Here is a great resource on how to understand the quality score for your Bing Ads account.